This basic yet classic large-ruled A5 notebook is perfect for anyone working in the Administrative Profession. Featuring your favourite motivational quotes on every page, each one chosen by an Assistant, this notebook is perfect for taking meeting notes, recording ideas and keeping to do lists. 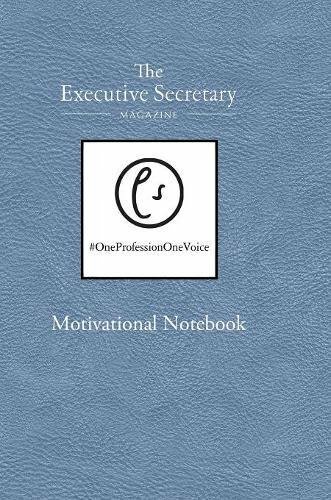 This notebook delivers 160 pages of inspiration presented in a sky blue cover featuring the Executive Secretary logo and the #OneProfessionOneVoice hashtag. Treat yourself or buy as a gift for your favourite Administrative Professional.